Four performances are scheduled for the 2011-2012 season. 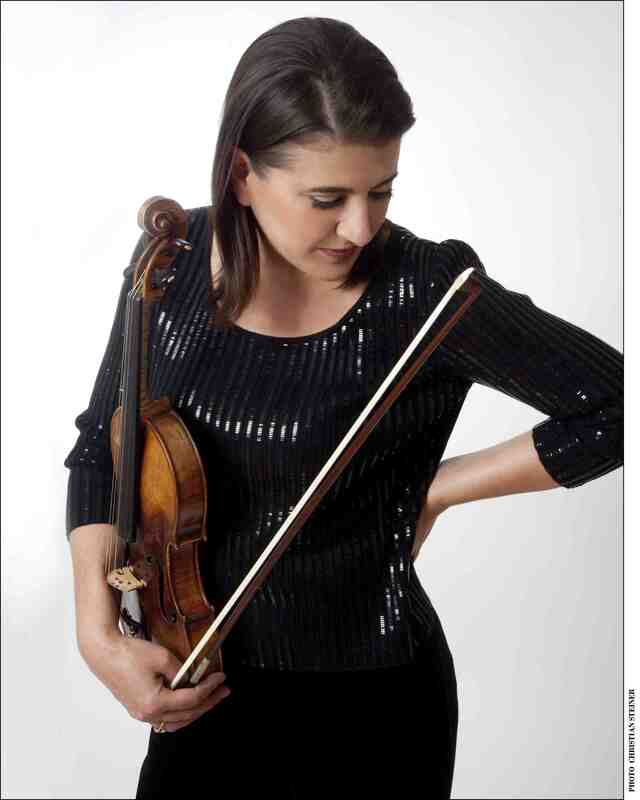 The theater will also hold one of four free concerts celebrating the UW Pro Arte String Quartet’s 100th anniversary. New this year, early concert series subscriptions with significant savings will be available until April 1. Wisconsin Union members and UW-Madison faculty and staff receive reduced ticket price sand UW-Madison students will continue paying only $10 for any Concert Series events. More details are available following the season schedule. 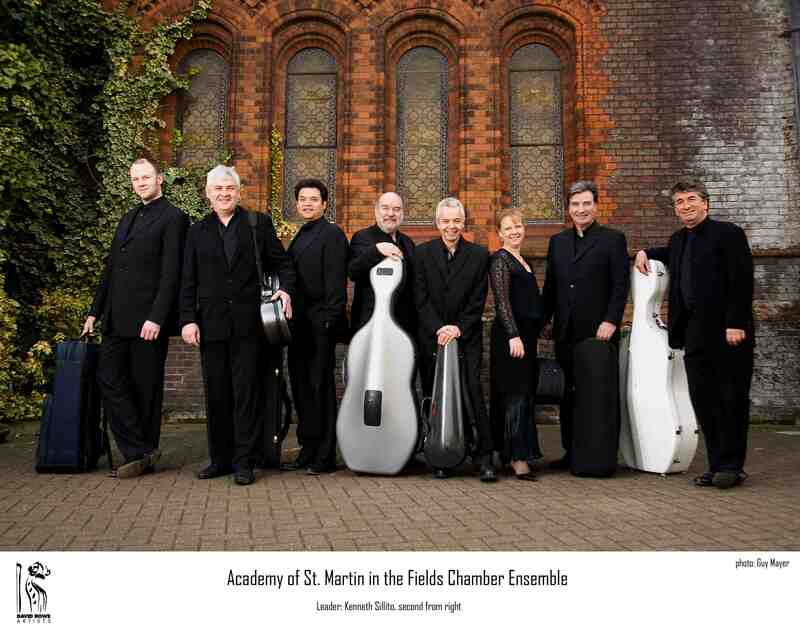 The Academy of St. Martin in the Fields Chamber Ensemble (bel0w), which will perform on Friday, September 30, 2011, 7:30 p.m. The group’s program includes Brahms’s String Sextet in G Major, Op 36; Shostakovich’s Prelude and Scherzo for String Octet, Op. 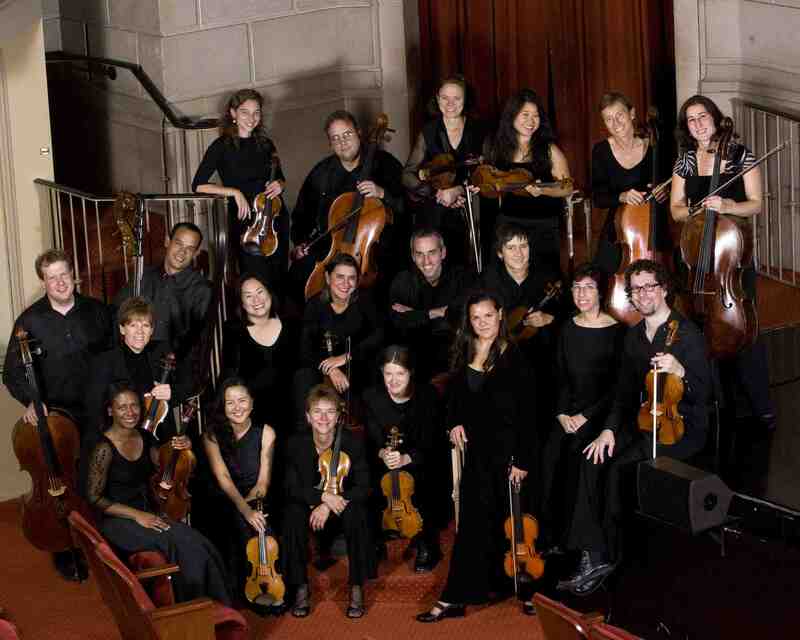 11; and Mendelssohn’s Octet. Cellist David Finckel, pianist Wu Han and violinist Philip Setzer (below) will perform on Friday, February 24, 2012, at 7:30 p.m. (Finckel and Han co-direct the Chamber Music Society of Lincoln Center, and Finckel and Setzer are members of the Emerson String Quartet.) 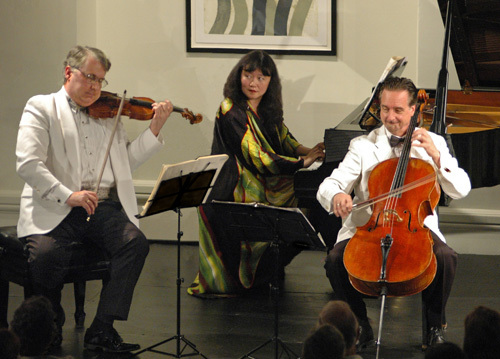 The trio’s tentative program is an all-Mendelssohn program that includes the Sonata for Cello and Piano in D Major, Op. 58; the Trio No. 1 for Piano, Violin and Cello in D Minor, Op. 49; and the Trio No. 2 for Piano, Violin and Cello in C Minor, Op. 66. 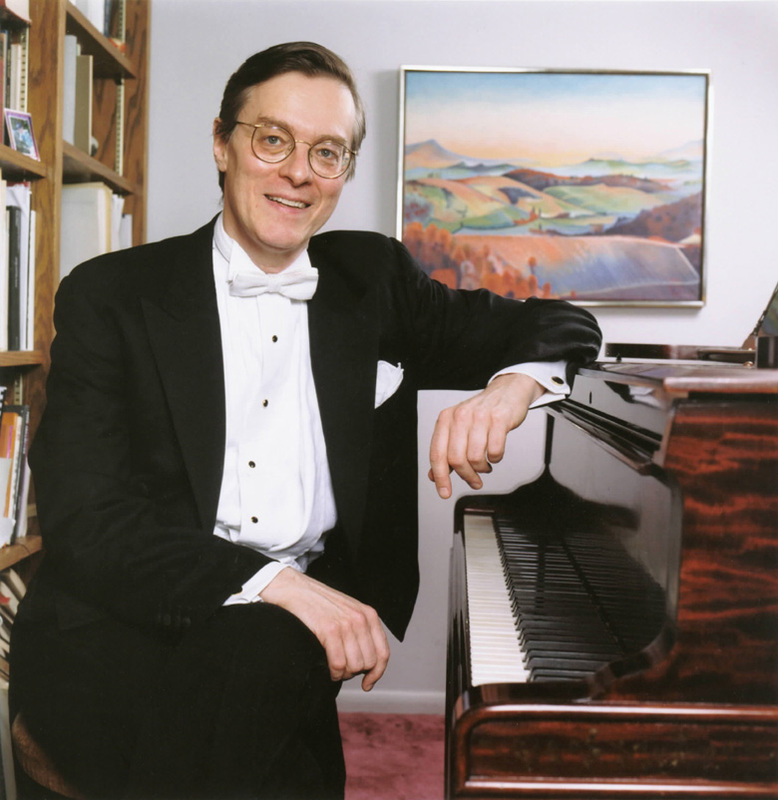 Pianist Peter Serkin (below) will give a recital on Saturday, May 5, 2012, 7:30 p.m. His tentative program features pre-baroque works and Beethoven’s massive “Diabelli” Variations. SAVINGS AND OTHER INFORMATION: Patrons may take advantage of a special offer, good only for orders received by April 1, 2011. Subscribe early and receive a special price for a limited time, as well as ensure priority seating and parking. To take advantage of this offer, download the order form from the website, www.uniontheater.wisc.edu, and send it to: Wisconsin Union Theater Box, 800 Langdon St., Madison, WI 53706, or call the box office at 608-265-ARTS (2787). Single tickets and UW-Madison student tickets will be available later. Other 2011-2012 events will be announced on April 8, at the Dianne Reeves concert. Ticket Exchange Flexibility: Should conflicts arise, you can exchange your tickets at either of box offices up to 24 hours before your event for any upcoming season event. Or trade in your tickets for a gift certificate of equal value to use later or give to a friend. Missed Performance Insurance: Just because you missed one of the season events does not mean you need to miss out. Return your unused season tickets within three business days of the event for a gift certificate of equal value, good for any remaining season event in 2010-11. Free Pre-Concert Lectures featuring John W. Barker and Perry Allaire are offered at 6:30 p.m. before each Concert Series events. See Today in the Union for location. The 2011-2012 season listings and order forms will be available online starting April 9, 2011. What do you think of the Wisconsin Union Theater’s new season?